HBO has posted a new video (trailer) for its upcoming fantasy/adventure series Game of Thrones, adapted from the books in the "A Song of Ice and Fire" series by George R. R. Martin, the first of which is titled A Game of Thrones. Set in Westeros where "summers span decades and winters can last a lifetime," Game of Thrones chronicles the violent dynastic struggles among noble families for control of the Iron Throne. The premiere of this 10-episode series airs Sunday, April 17th. 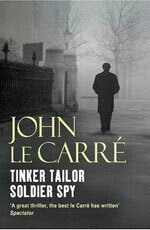 Deadline|New York is reporting that Universal has acquired the US rights to the 2011 film adaptation of John le Carré's 1974 spy thriller Tinker, Tailor, Soldier, Spy. The novel, featuring British intelligence officer George Smiley, is the first in what is commonly known as the Karla Trilogy. The film, now in post-production, stars Gary Oldman as Smiley. The book was previously adapted for a 7-part BBC television mini-series that aired in 1979, and starred Alec Guinness as the fictional spy. The plot follows Smiley as he embarks on a mission to catch a Soviet mole, who has been operating within the "Circus" for some thirty years. The film is being released in the UK in September, 2011. Universal is looking at a November or December release date this year. From bestselling author Sidney Sheldon comes this exciting thriller of adrenaline-charged intrigue, secret passion and international adventure. 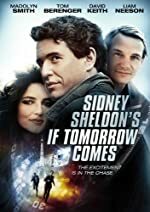 For more information about this mini-series adaptation, visit Cinemystery: If Tomorrow Comes. The Omega Theory by Mark Alpert. A David Swift and Monique Reynolds Mystery. Touchstone Hardcover, February 2011. This action-dominated, international thriller, a blend (sometimes blur) of science fact with science fiction, takes readers on a wild ride. The characters are somewhat thinly developed, more superficial than substantive, but the novel delivers on its premise, providing nonstop thrills from start to finish. 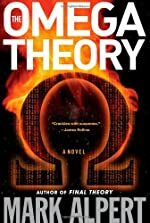 Read the full text of our review at Mysterious Reviews: The Omega Theory by Mark Alpert. Read the first chapter(s) of The Omega Theory below. Use the Aa settings button to adjust text size, line spacing, and word density. Telemystery, your source for one of the most comprehensive selections of detective, amateur sleuth, private investigator, and suspense television mystery series, mini-series and made-for-television movies, now available on or coming soon to DVD or Blu-ray disc, is profiling one British series being released this week. An ensemble cast that includes brusque Detective Inspector Vivien Friend (Samantha Spiro) and intuitive Detective Constable Rosie MacManus (Lindsey Coulson) make up an elite Murder Investigation Team for London's Metropolitan Police in this ITV crime drama that brims with twists and turns, false leads, and surprising resolutions. The series, which is set at the fictional Sun Hill station in east London, is a spin-off of the long-running The Bill, a crime drama that aired for 26 years (being canceled only last year). In the first episode, the Murder Investigation Team investigates the shooting of one of The Bill's characters, Sergeant Matt Boyden. 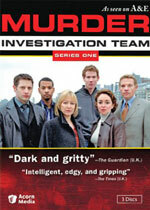 The Murder Investigation Team: Season One DVD set of three discs contain the 8 episodes that originally aired on ITV during May and June, 2003. This is the title of Raymond Benson’s noir thriller involving prosopagnosia (9 letters). This 2007 reinterpretation of the 1970 stage play and 1972 film both takes away from and adds to the brilliantly conceived original storyline. But what's taken away lessens much of the suspense, and what's added detracts from the enjoyment of the film. 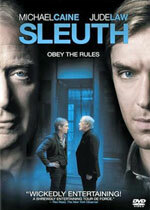 Read the full text of our review at Mr. E. Reviews Sleuth (2007). Naming the Bones by Louise Welsh. Non-series. Felony & Mayhem Trade Paperback, February 2011. From the simplicity of its premise to the complexity of its carefully crafted resolution, this remarkable novel of suspense is far more of a thoughtful, intellectual mystery than an action-oriented one. The atmospheric second half, set on an isolated Scottish island, is particularly noteworthy. 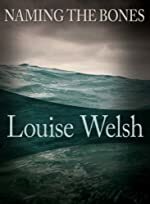 Read the full text of our review at Mysterious Reviews: Naming the Bones by Louise Welsh. Read the first chapter(s) of Naming the Bones below. Use the Aa settings button to adjust text size, line spacing, and word density. 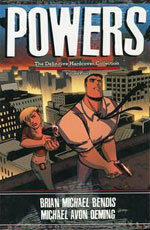 The Hollywood Reporter is reporting that FX Networks has ordered a television series pilot adapted from the popular "Powers" series of comics by Brian Michael Bendis and Michael Avon Oeming. Last month, Powers: The Definitive Collection (Volume 4), which collects Powers 8: Legends, Powers 9: Psychotic, and Powers 10: Cosmic, was published by Marvel in hardcover. The comic book series, which began in 2000, follows Christian Walker and Deena Pilgrim, homicide detectives assigned to investigating and solving cases that involve "powers" (people with superpowers). 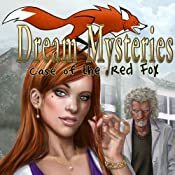 Games of Mystery is pleased to announce recently published mystery and suspense casual and adventure games now available for immediate download from Amazon Video Games. Windows Vista/XP (323 MB download). When solitary Darren Michaels befriends the beautiful Angelina, he has no idea what the fates hold in store for him. The alluring Angelina has also attracted the eye of several others; and when she suddenly disappears, Darren finds himself questioning what has happened to her while he is haunted by a series of torturous and everintensifying nightmares. 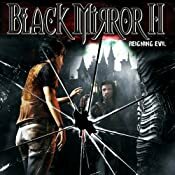 Darren's search for his missing friend and his own sanity take him on a chilling expedition from his small New England town to Willow Creek, England — and the reigning evil of Black Mirror Castle. Darren's journey will immerse him in the dark secrets and turbulent history of the castle's ill-fated Gordon Family. Legend has it that the Gordon’s were haunted by an ancient curse that ultimately led to their demise more than a decade earlier. Will Darren be able overcome these demons and find Angelina? Or will he become the curse's next victim? Will Darren's search lead him to redemption or the hell of insanity? The answers can only be found in the Black Mirror — for once you gaze into it, you won't be able to look away. Windows Vista/XP (2000 MB download). Your objective is to locate the Tomb of Isis and finish the search that Robert’s grandfather started! 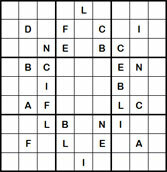 Travel the globe and find clues that will help on your search! After Professor Thomas Penroy is kidnapped, it’s up to you to take over the hunt for the legendary Tomb of Isis. Unravel ancient mysteries and solve incredible riddles in this perplexing hidden object adventure game. See also the previous game in this series, The Serpent of Isis. 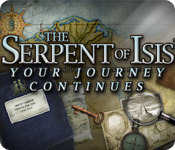 The Serpent of Isis: Your Journey Continues may be downloaded and purchased for $6.99 with a Big Fish Game Club membership. A demonstration version (453.05 MB) may be downloaded and played for free for one hour. Though I was intrigued by the premise — retired cops using their years of experience to solve cold cases — I was disappointed in this series (or at least this season of it). What troubled me most was how terribly simplistic the plotlines were. None of these cases were all that difficult to solve — the clues were there ready to be followed like breadcrumbs — which had me wondering, why they weren't solved in the first place. 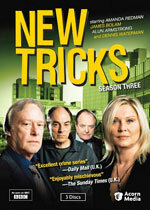 Read the full text of our review at Mr. E. Reviews New Tricks Season 3. CBS has scheduled the seventh Jesse Stone film, Innocents Lost, for Sunday May 22nd, 2011, at 9 PM (ET/PT). Based on a character created by the late Robert B. Parker, Innocents Lost is not adapted from any of Parker's novels, but is an original screenplay co-written by Tom Selleck, who plays Jesse Stone. The plotline finds Jesse, once again on overload, looking into the death of a teenaged girl and unofficially involved in the case of a convicted murderer who he thinks may be innocent. He's also battling his familiar demons, alcohol and his ex-wife. Kathy Baker and Kohl Sudduth reprise their roles as the Paradise Police Force. Also returning are William Devane, Stephen McHattie, Saul Rubinek and William Sadler. Innocents Lost was filmed in Nova Scotia in late 2009. Selleck, who is now starring in the CBS crime drama Blue Bloods, has said he is eager to make an 8th movie, which he hopes to film this summer. A list of the top 15 mystery hardcover bestsellers for the week ending February 25th, 2011 has been posted on the Hidden Staircase Mystery Books website. The Girl Who Kicked the Hornet's Nest by Stieg Larsson remains atop the list for something like nine months now, but otherwise there was significant movement, with three new titles debuting. 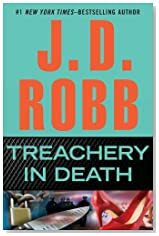 Coming in at number 8 is Treachery in Death, the (we've lost count) entry in the long-running near-future series by J. D. Robb. Detective Eve Dallas and her partner, Peabody, are following up on a senseless crime -- an elderly grocery owner killed by three stoned punks for nothing more than kicks and snacks. This is Peabody's first case as primary detective -- good thing she learned from the master. But Peabody soon stumbles upon a trickier situation. After a hard workout, she's all alone in the locker room when the gym door clatters open; and-while hiding inside a shower stall trying not to make a sound, she overhears two fellow officers, Garnet and Oberman, arguing. It doesn't take long to realize they're both crooked -- guilty not just of corruption but of murder. Now Peabody, Eve, and Eve's husband, Roarke, are trying to get the hard evidence they need to bring the dirty cops down-knowing all the while that the two are willing to kill to keep their secret. 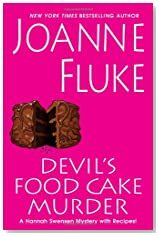 Two spots lower at number 10 is the 14th mystery in the Hannah Swensen series, Devil's Food Cake Murder by Joanne Fluke. These days, everyone in Lake Eden, Minnesota, is buzzing with activity, and Hannah Swensen is no exception. But no matter how busy she may be, Hannah can always find time to help a friend in need -- especially when there's a murder to investigate. 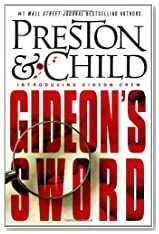 And at number 13 is the first in a new series, Gideon's Sword by Douglas Preston and Lincoln Child.